Hair stylist specialised in social care? What is it? And why? I recently qualified as a hair stylist specialised in social care and received social welfare accreditation to sell wigs. Working for many years in this form of personal support as a hair stylist, I decided to extend my approach and to take a course in hair styling specialised in social care. So, in 2016 I left my salon for several weeks of training to prepare myself for this qualification, in order to be informed, trained and qualified to support people who are vulnerable due to a weakened state of health, through illness, disability, convalescing from physical and emotional problems, in mourning, coping with the news of cancer, weakness following weight loss or gain. All these fragile states can cause harm to one's self-image so as a hair stylist specialised in social care, this is where I need to be, at their side! I offer my support through suitable hair and well-being treatments, highly recommended within the framework of hair loss related to chemotherapy treatment. The effects of purification, hair bulb regeneration and scalp softness improve hair growth and health. Support in terms of choice and advice for plant dyes and hair styles. Support in terms of choice and advice for wigs if required. Support as an approved consultant to carry out a skin diagnosis and to choose suitable treatment products. And suggestions and advice on make-up. I also organise theme-based group workshops in my “cosy salon”. These are opportunities to talk with others and get away from it all for all those who may feel alone or ostracized further to taking in the news of an illness or other Life tsunamis which can befall them. It is a place where they can meet putting the focus on taking care of who they are and rebuilding themselves. The idea is to create a group dynamic focused on the pleasure of being together, through discussions which then trigger laughter and which quite simply remind us that we are alive. The fact of not remaining alone and of being surrounded by taking part in one of my workshops is good for the mind and soul while confirming that taking time to look after oneself can only be a good thing! This involves working on restoring the person's identity, so that they can become at one again with their body and rebuild who they are. Feeling naturally beautiful, simply to gain confidence and to be part of society. 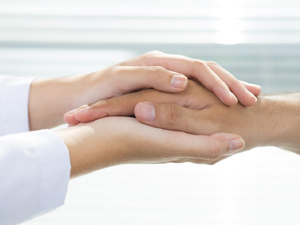 Being supported, heard, respected, finding an answer to a problem related to hair loss, alteration of the hair which has become dull, sensitivity of the scalp and skin and other issues related to one's image which will allow the person to feel confident again, restore their dignity and above all feel less alone and keep a place in humanity. Being pampered with head massages for a relaxing effect of the entire body can only play a positive role in the well-being and life of a person! I offer my support as a hair stylist specialised in social care on an individual and customised basis according to the person’s wishes and needs. I can travel to a hospital (only for cancer patients and with the hospital’s agreement). Whether you are looking for a wig prescribed by your doctor, a hat or a turban to cover total or partial hair loss or you are looking for a wig for style, for a quick hair style, or to have a quick change, I would be delighted to advise and guide you. I will receive you individually and by appointment only to help you choose your models and colours. The price of wigs varies depending on the comfort of the chosen model. The prices of wigs (hair prostheses) vary depending on the model chosen. In application since April 1, 2019 social security reimbursement of € 350 for a model cat.1 (from 15 to 30cm knotting hands), reimbursement of € 250 for a model cat.2 (+ 30 cms knotting hands) . I will do my best to satisfy your need, to the extent of my possibilities, availability and skills as a hair professional. I will happily welcome you for an enjoyable moment during your choice of services! 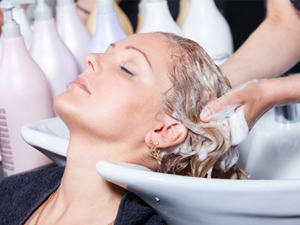 I work by appointment for all hair styling and social care support services.